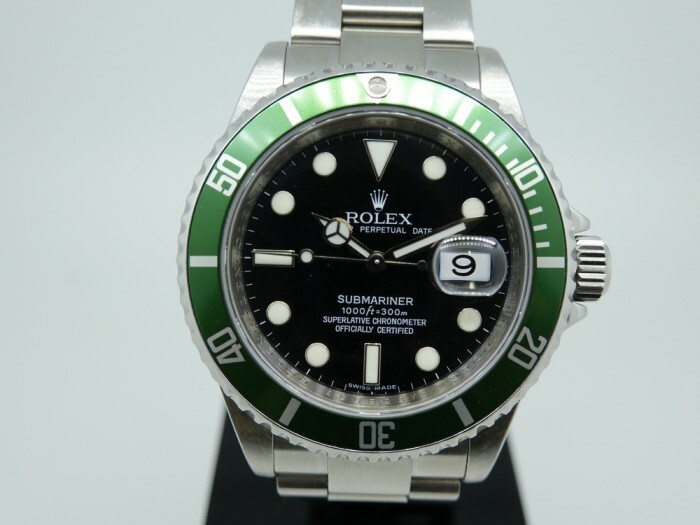 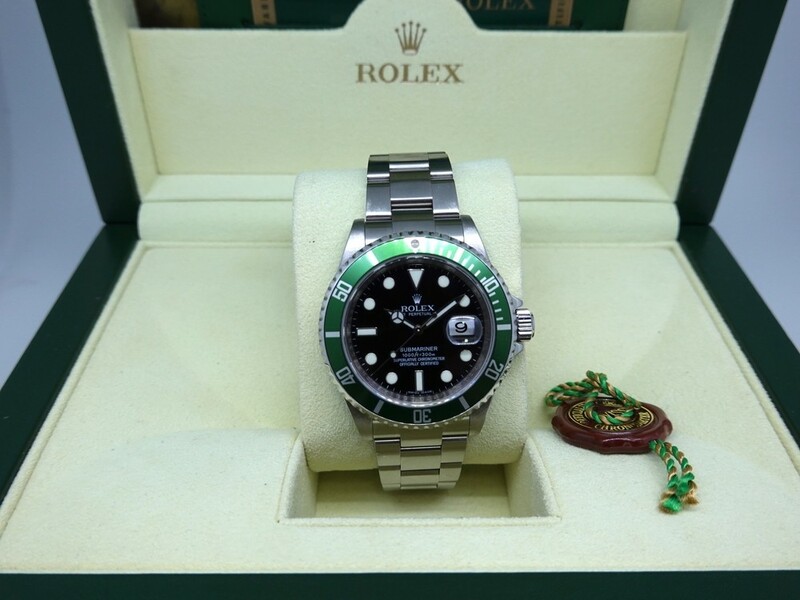 Rolex Submariner Date "Kermit" 16610 Lunette Vert. 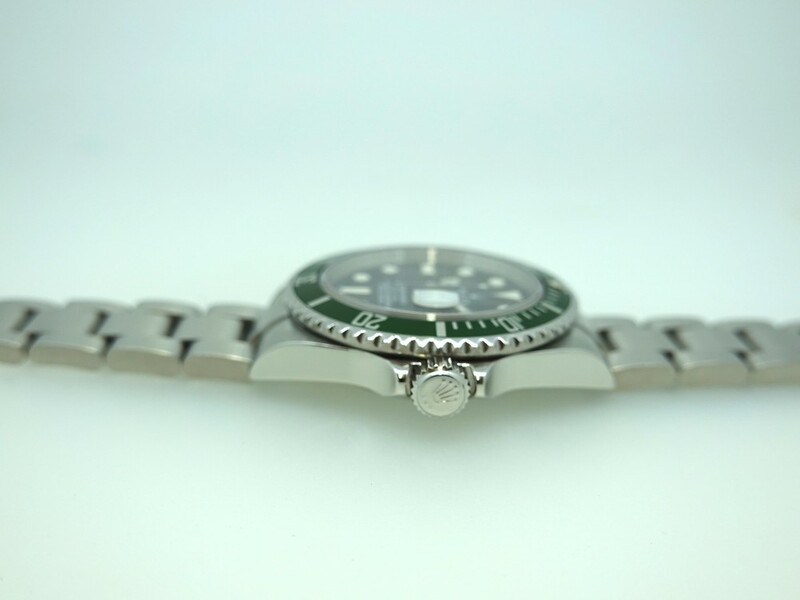 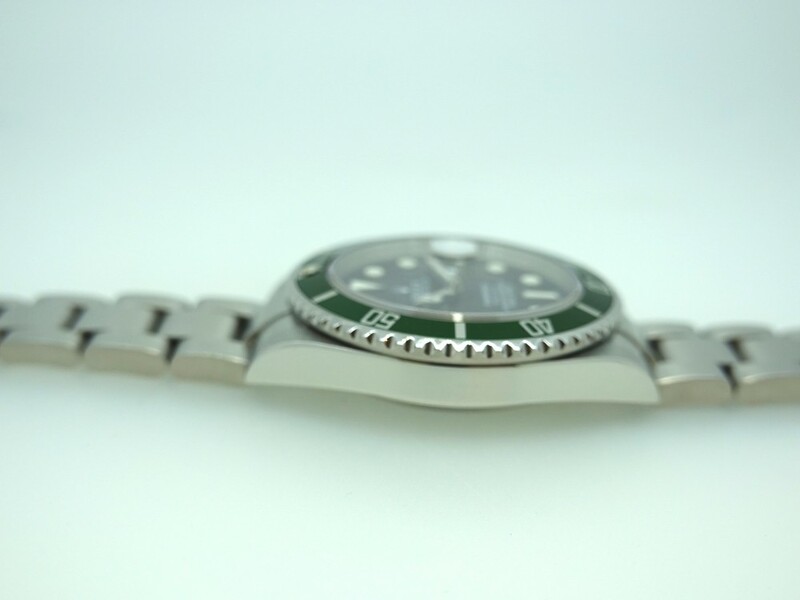 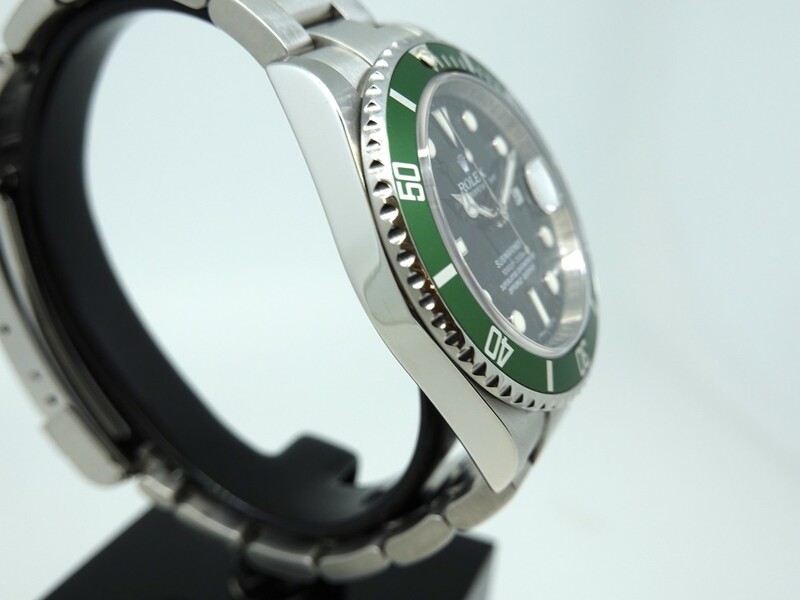 40mm stainless steel case, black maxi dial, divers turning bezel with green aluminum insert, steel oyster bracelet. 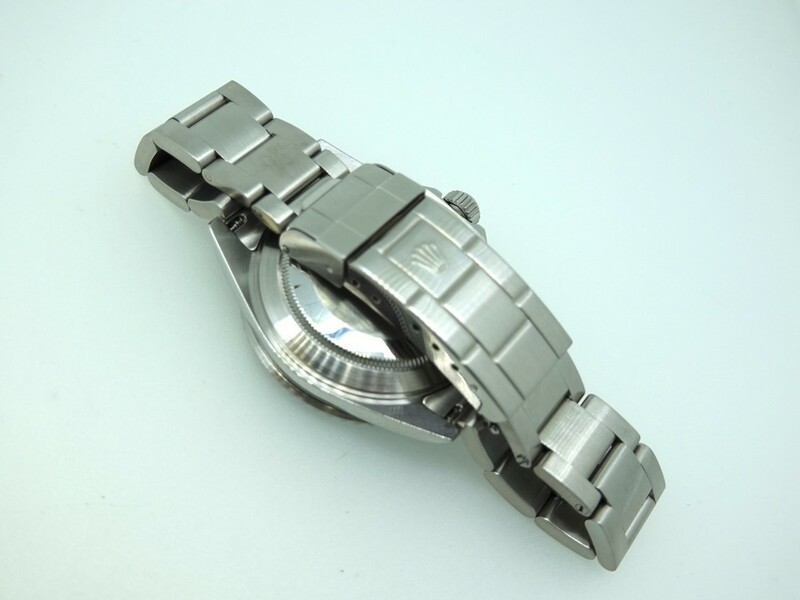 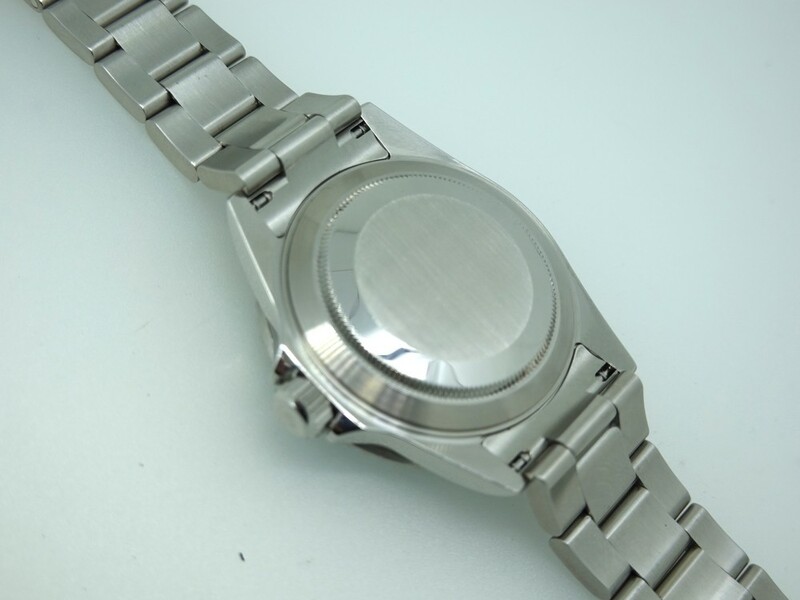 This time piece is in excellent condition with few minor scratches on the case and bracelet. 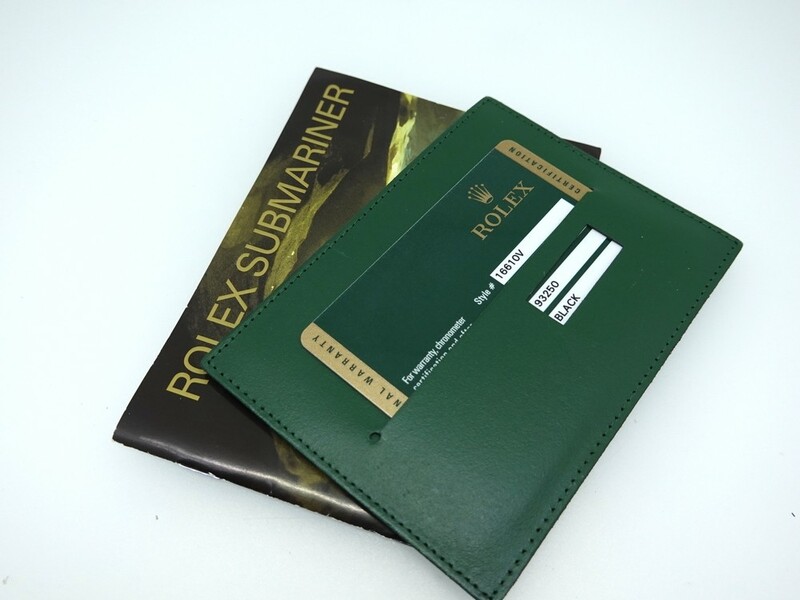 Comes with original Rolex box, instruction booklet and warranty card dated Jan 2008. 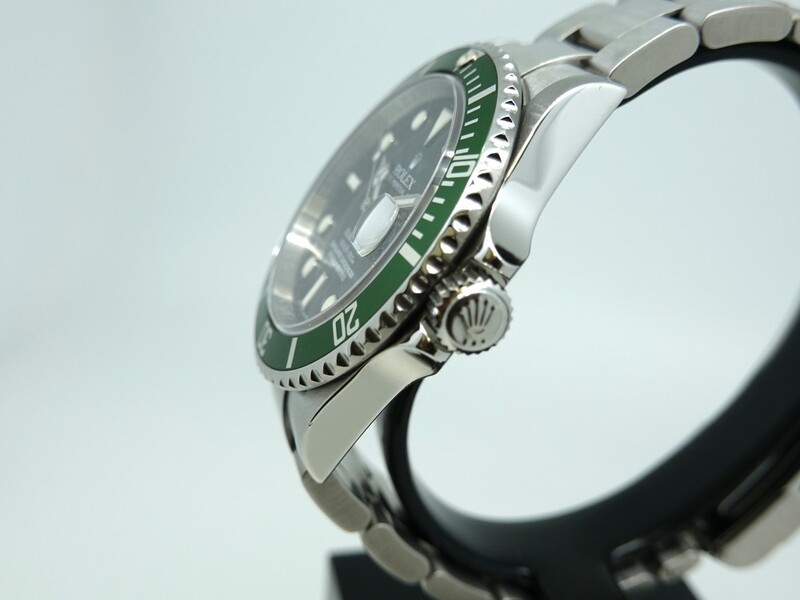 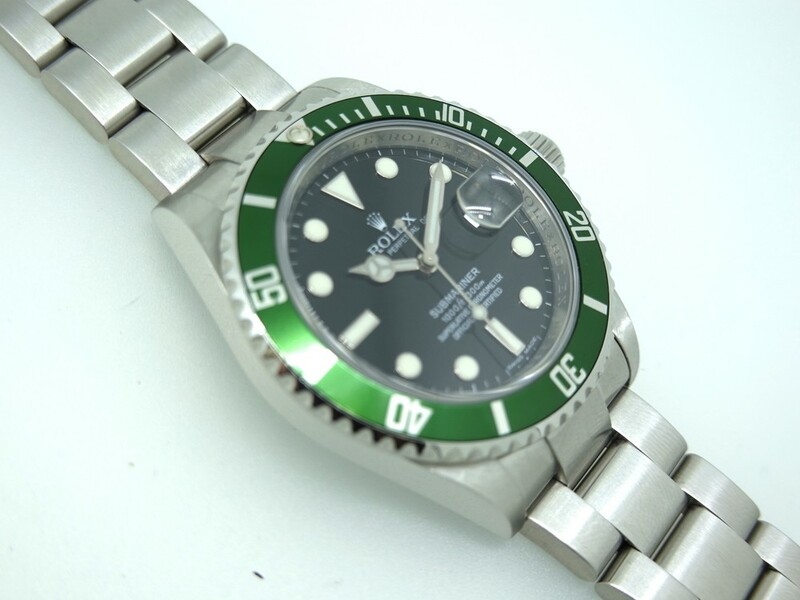 Model Rolex Submariner Date "Kermit"